3 Bedroom Semi Detached For Sale in Hinckley for Offers Over £200,000. 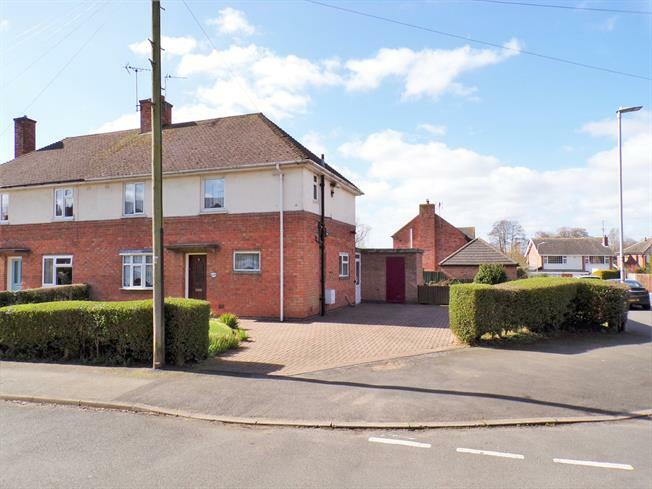 Occupying an attractive corner plot is this three bedroom semi detached house. The property offers huge potential to add a side extension which will increase the living space significantly (STPP). This well built family home comprises of hall, kitchen, lounge diner, sun room, ground floor WC, utility, three bedrooms and family bathroom. Other main features include gas central heating with modern combination boiler, airing cupboard, pantry, fitted storage and wardrobes, double glazing, driveway parking for multiple cars and landscaped laid to lawn rear garden. No chain. Viewing advised.